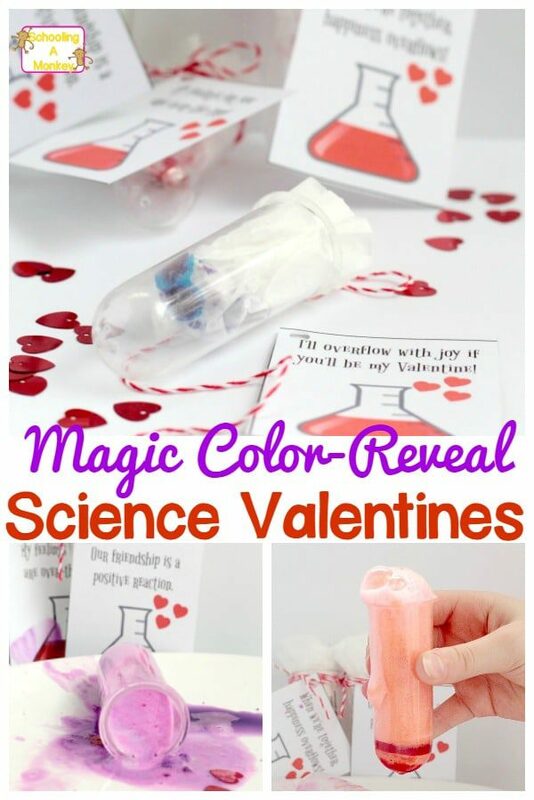 These fun science Valentines are such fun for class valentines, school valentines, or valentines for friends and family! What color will you get? I love silly pun valentines. 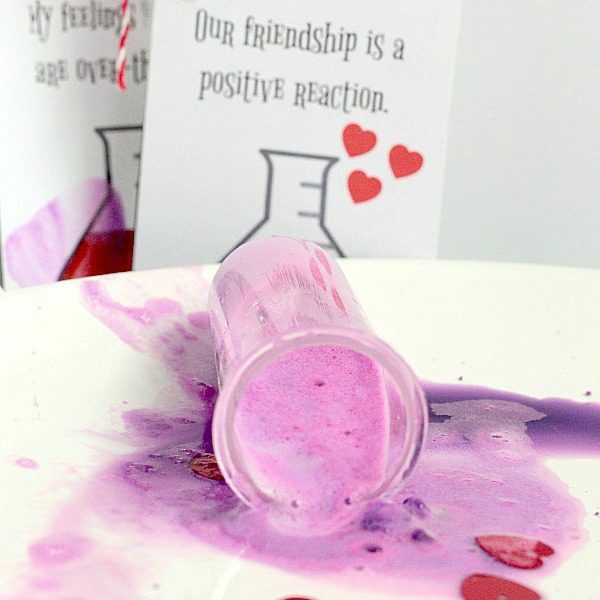 We’ve made slime pun valentines and tea pun valentines in the past, but today, I wanted to make science valentines. 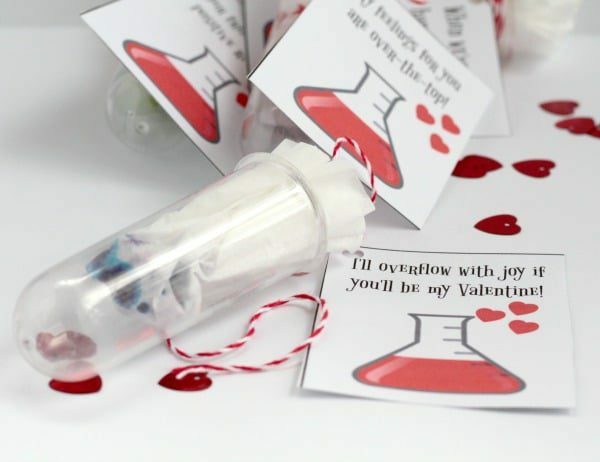 These valentines are the perfect thing for little science lovers! The valentines are even more fun when the color is hidden. What color will you reveal in your valentine? 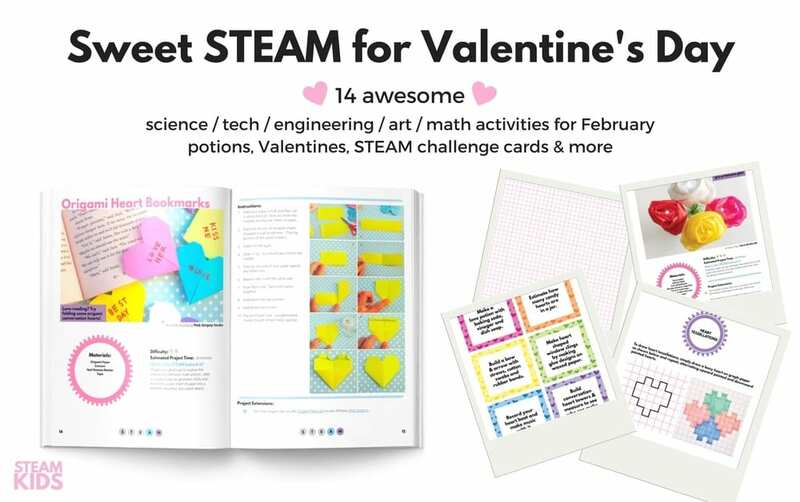 It’s Valentine sSTEM activity magic! 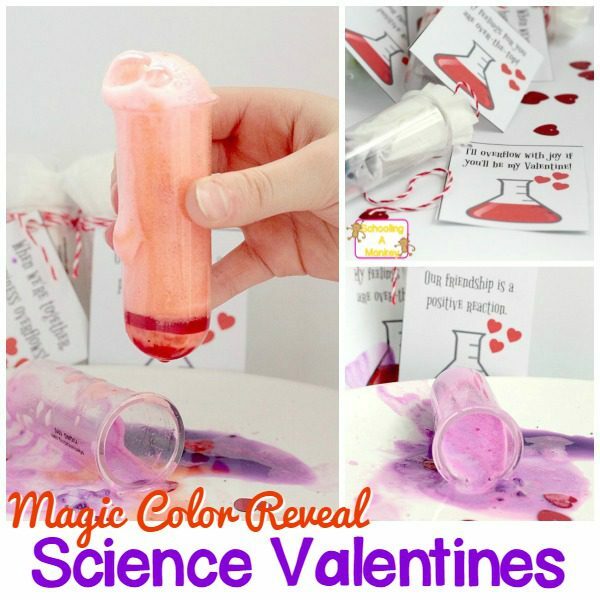 It only takes a few things to make magical, science-themed valentines! Get the valentine printable here! * A parent told me that her child’s school does not allow valentines with anything that can get spilled or emptied. If your school has these restrictions, just make a note on the cards for the recipients to add the baking soda, dish soap, and food coloring to their test tubes to make the reactions. First, print the valentines onto card stock paper. Print the image side first, then flip it over and print the second page onto the back of the first page. Use a hole punch to punch a hole in the corner and tie it around the test tube with string or ribbon. Set the test tubes aside. Mix 1 teaspoon of baking soda with two drops of dish soap and three drops of food coloring. The dish soap helps the reaction last a little longer. Make as many colors as you like! Pour the teaspoon of baking soda into the center of a two coffee filters. Using two filters will help hide the color and make it more of a mystery. Stuff the coffee filter into the test tube. 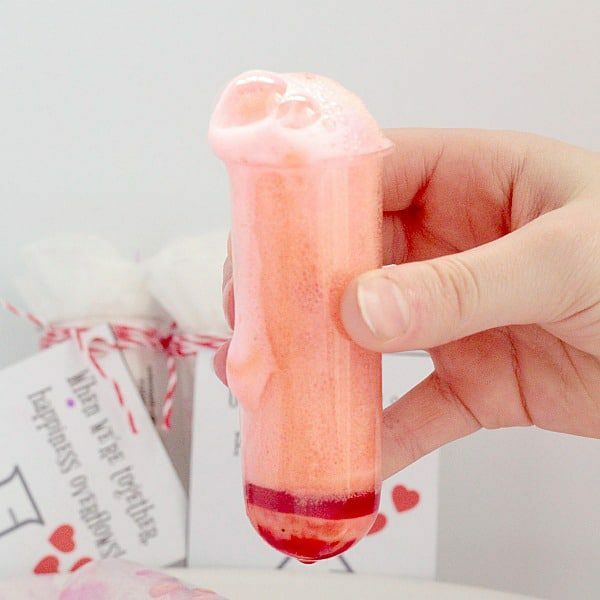 When you’re ready to make your valentines react, pour a small amount of vinegar into the test tube. The magic color is revealed! Keep adding vinegar until the baking soda no longer reacts.